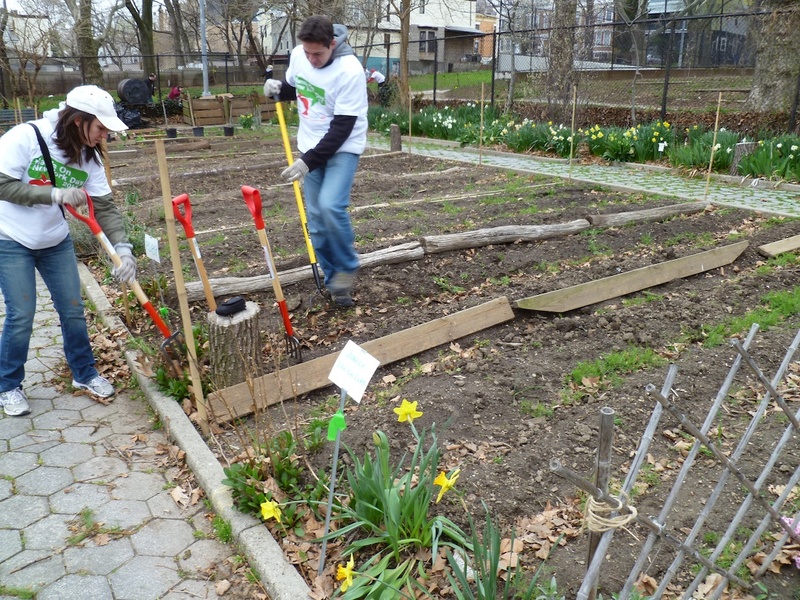 This past Saturday was Hands On New York Day, a citywide volunteer day which mobilizes thousands of New Yorkers to give their city a good ol’ fashioned spring greening. Though the weather wasn’t 100% optimal, the rain held out long enough to get 70 public spaces cleaner, greener, and ready for people to enjoy all summer long. 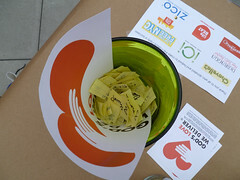 Team Give and Get NYC was out straddling the line between Brooklyn and Queens this year, turning over plots in the Highland Park Children’s Garden. It was clear that the garden had endured a long winter and was in need of some TLC. 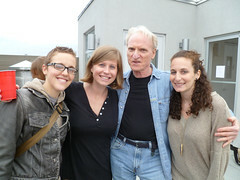 Our site had an army of volunteers that were spreading compost, pulling weeds, and raking leaves, among other things. 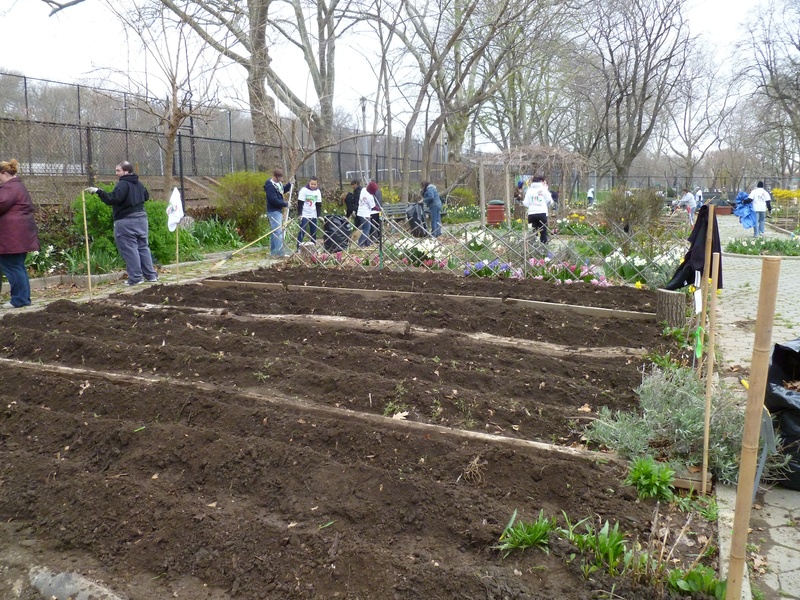 Our team was tasked with turning over four garden plots that belonged to local public school students. We prepared the soil for planting, which will take place in the next few weeks when the garden is turned into an outdoor classroom of sorts, teaching elementary-age kids how to grow their own fruits and vegetables. Despite the weather it was a great day, as these events always are. It gives me a great sense of pride any time I can volunteer alongside such a large, diverse group of people; we didn’t know each other’s names, but we shared shovels, fetched compost for each other, and lent a hand when it was needed, no questions asked. I like to think this is what it’s all about to be a New Yorker. It was also seriously hard, back-breaking labor that I know could not have been completed by the small children and surrounding community who will ultimately benefit from our hard work and the support of New York Cares. 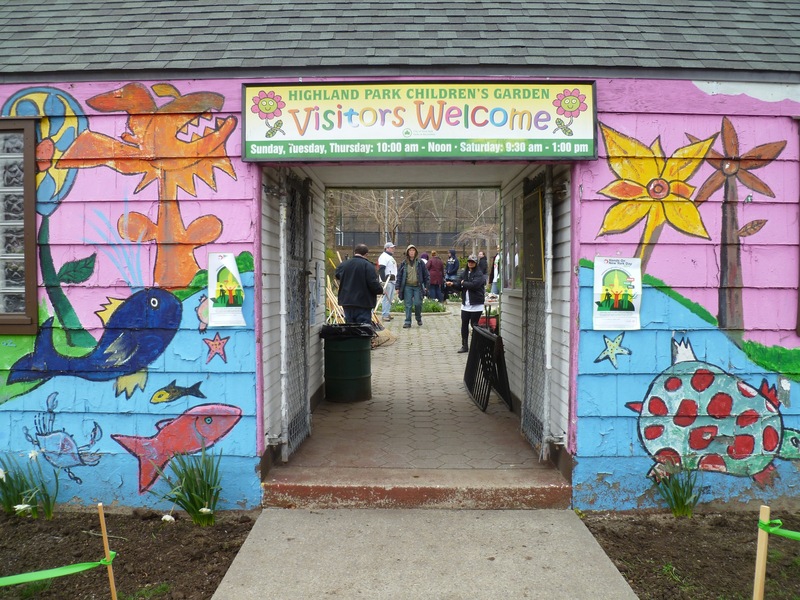 To see more photos from our day in the Highland Park Children’s Garden, check out the G&G Flickr account! 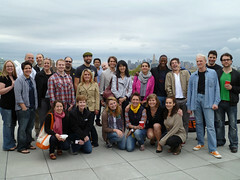 Did you volunteer for Hands On New York Day 2011? Feel free to reply below with links to your own photos and recaps of the day!